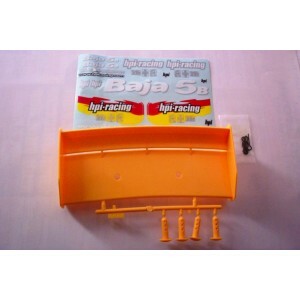 Home > Cars And Trucks>Bodies/Wings>1/5 Scale>85455 Wing Set, Orange/Yellow. 5455 Wing set, orange/yellow. Includes decals and clips. Factory part for Baja 5b.